'Woodcut 2'. 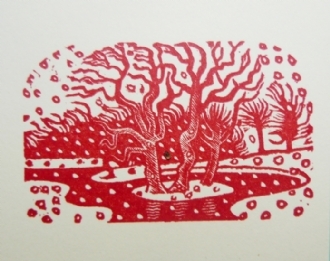 Original woodcut printed in 2003 printed from the original woodblock cut in early 1930's. Measures 3cm x 5cm plus slim borders.